After this we need to find a name for Ryan. Mr Kimura is already the Magician. The Wizard, the Sorcerer? 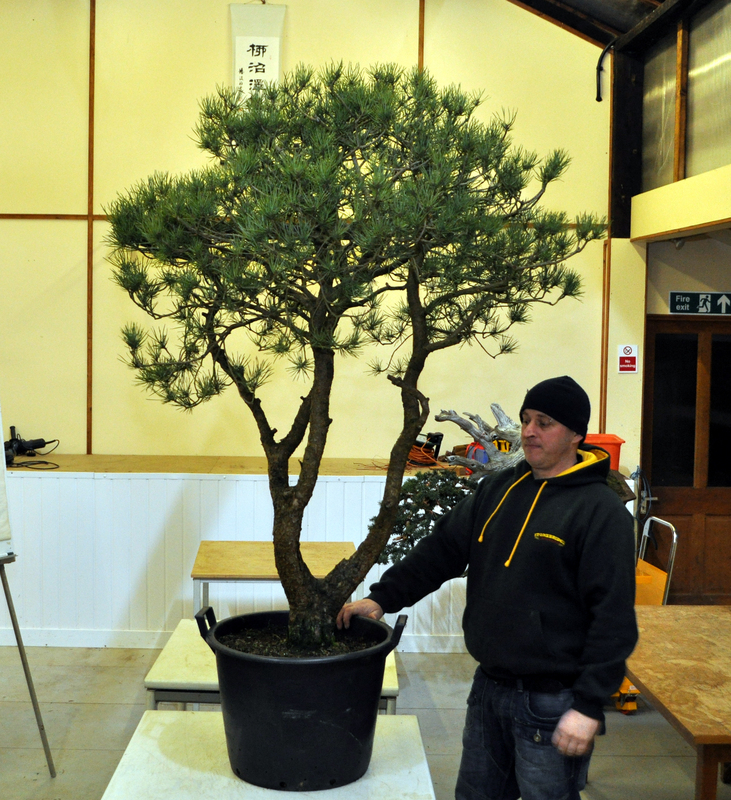 Starting with Phil’s tree, this rather large Scots Pine was selected by Phil for a particular reason. Most people who had done the workshop wanted direction with their tree or refinement. Phil however was more interested in learning techniques, most notably bending techniques. 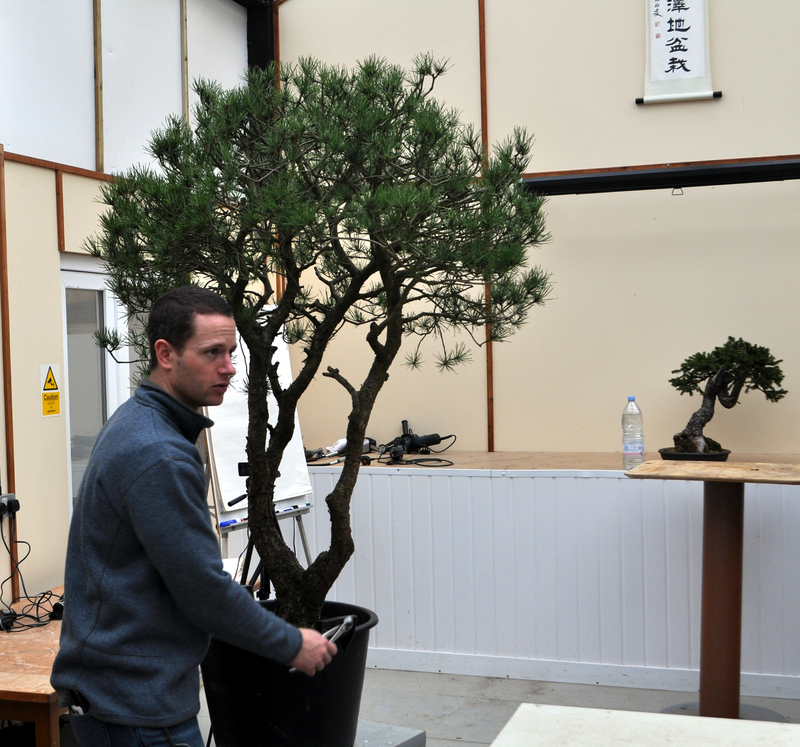 This Scots Pine was always going to need bending in some way to make it a viable bonsai sometime in the future. This is the tree before we started. Ryan asked for ideas about its future, some said put it back in the ground and one said put it back in the van 🙂 Ryan said that there is always something that can be done. 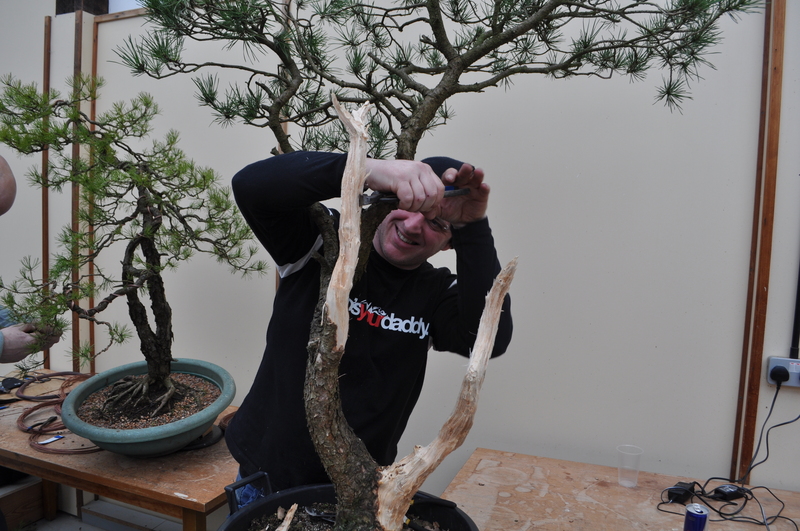 After some discussion about styling options with everyone there, Ryan opted to remove two of the trunks initially and set Phil to work creating jins using hand tools and a bit of rip and tear.